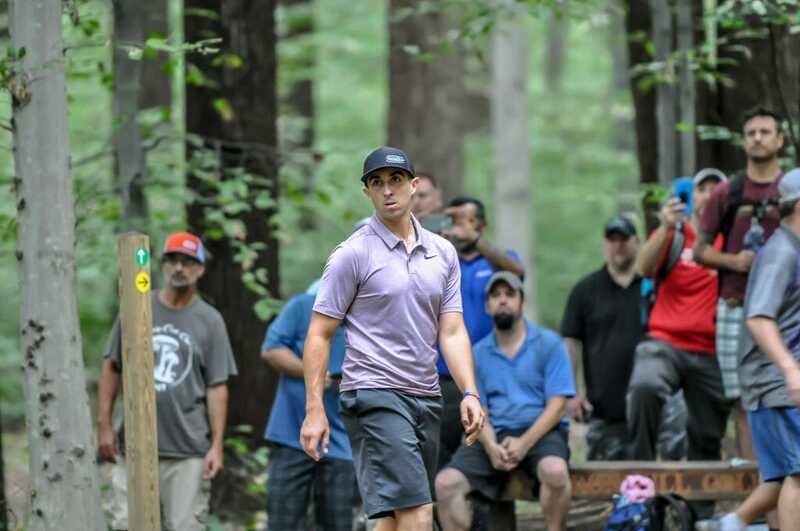 A comeback from the chase card at Pro Worlds may not have happened, but Paul McBeth retains his number one spot in our Ultiworld Disc Golf Power Rankings. A dominant win in Delaware has something to do with that. On the strength of his Worlds win, Gregg Barsby moves up (expected), and a couple players like Eagle McMahon, Nate Sexton, and Simon Lizotte aren’t able to shake their subpar performances in Vermont (unexpected). Similar to the men’s winner, Paige Bjerkaas used her Worlds title to move up, but isn’t occupying the top spot. That’d be the other Paige, Pierce, who returns to no. 1. The Europeans who did not travel over to the U.S. — Henna Blomroos, Eveliina Salonen — were knocked a bit for not facing the loaded American fields. Sarah Hokom has not been her best since about midway through the third round of Pro Worlds. She still has about three events to regain the form she had been displaying all year. Kristin Tattar has benefited greatly from her U.S. tour. She’s shown that if she were to be stateside more often, we’d have another female to add to the weekly challenger list. Speaking of players that could hang if they toured more, Holly Finley has consistently been battling for lead cards over the past month or so. Paul Ulibarri hasn’t finished outside the top five since Ledgestone. He’s playing the best golf we’ve seen from him in a while. Yeah, he’s the most deserving of the second position. Matt Orum was rewarded for the Worlds results as well. Now that we’re back down south, will he feel even more comfortable out on the course? Josh Anthon was a bit “out of sight, out of mind” there for a while, and we weren’t that high on him even when he was back on tour before Worlds. Well, considering he went from unranked to 13th in a month, we’ve changed our minds. James Conrad gets dinged after falling off the pace at Worlds and not performing as well as many of us expected at Iron Hill. Comments on "Ultiworld Disc Golf Power Rankings: Pre-USDGC [October 3, 2018]"